An exhibition of painting and sculpture, Sweet Metal and the Road, opens at Harrison Galleries on First Friday, February 3, from 6-9 pm. 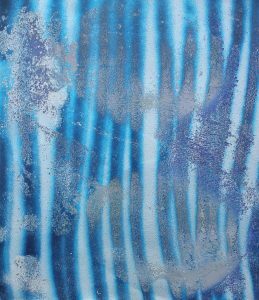 The two-person exhibition of work by UA art instructor Wade MacDonald and UA art alumna and current ASFA faculty Anne Herbert will run through February 28, 2017. Anne Herbert is a Visual Art Instructor at the Alabama School of Fine Arts. She received her MFA in studio art in 2013 from the University of Alabama and her BFA in painting from the University of Montevallo in 2007. Professionally, Anne has taught at University and High School levels, worked in museum education, coordinated various outreach programs, and managed galleries. She was a co-owner and co-founder of The Grocery, an artist run studio and event space in Northport, Alabama. Herbert maintains a strong creative practice and exhibits regularly; most recently a solo exhibition at the University of Mobile and Art Fields, Lake City, SC. In her paintings, material, image and conceptual research are bolstered by contemporary methodologies but grounded in historical painting philosophies. Herbert’s website is http://anneherbertpaintings.com/home.html. Wade Folger MacDonald teaches courses in ceramics and art foundations at The University of Alabama Department of Art and Art History. A Nashville native, he received the BA in art education from Western Michigan University and the MFA in studio art with a concentration in ceramics from Michigan State University. MacDonald has traveled extensively in Germany and the Czech Republic. He received the Stanley and Selma Hollander Graduate Fellowship in Studio Art, the Varg-Sullivan Award for Distinguished Research and the John and Susan Berding Family Foundation Endowment Juried MFA Prize. 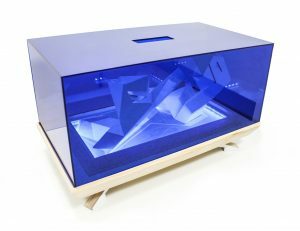 MacDonald has exhibited nationally and has completed artist residencies at Banff Centre and Anderson Ranch Art Center. MacDonald’s website is http://www.wfmceramics.com/. Harrison Galleries hosts a First Friday jazz reception from 6-9 pm on the first Friday of the month in downtown Tuscaloosa. Harrison Galleries is located at 2315 University Boulevard in downtown Tuscaloosa and is open Monday through Friday, 12 noon to 5:00 pm, and by appointment: (205) 464-0054.